Best Hardware Wallet For Cryptocurrency 2018 | Protect Your Crypto! Looking for the best hardware wallet for cryptocurrency in 2018? It’s more important than ever to protect your cryptocurrency – because we’ve seen some of the world’s biggest exchanges hacked over and over again. Plus, with the risk of hackers, bugs and no overarching cryptocurrency regulator, it’s crucial that you take every measure possible to keep your investments safe and secure. So that’s why in this guide, I’ll reveal my personal pick for the best hardware wallet for cryptocurrency in 2018. By the way, if you want tips on how to invest in cryptocurrency, check out my ultimate guide to trading cryptocurrency here. 1. What Is A Hardware Wallet? 2. Where’s The Best Place To Buy A Hardware Wallet? 3. My Top 3 Picks For The Best Hardware Wallets. 4. Do You Need A Hardware Wallet? 5. Advantages Of A Hardware Wallet. 6. Disadvantages Of A Hardware Wallet. 7. The Best Hardware Wallet For Cryptocurrency In 2018. Advantages Of The Ledger Nano S.
Disadvantages Of The Ledger Nano S.
8. How To Keep Your Hardware Wallet Safe & Secure. 8.1. Take Note Of Your Security Seed ASAP. 8.2. Don’t Leave Your Security Seed Online. 8.3 Store Your Security Seed In A Safe Place. A hardware wallet is just a way of storing your cryptocurrency offline. You can simply buy your cryptocurrency from an exchange like Binance or Coinbase, then transfer it across to your hardware wallet. Think of a hardware wallet like a USB stick, with security features designed to keep your cryptocurrency safe and protected from hackers. With pin codes, security seeds (a 24 word backup password created in case you lose your hardware wallet) and offline storage, it’s a lot safer than leaving your cryptocurrency online. Personally, I’d recommend buying your hardware wallet from Amazon because they have listings from approved, official retailers of hardware wallets. Plus you can check their reviews on there too. The last thing you want is someone to tamper with your cryptocurrency wallet before you receive it! So buying from Amazon’s top-rated sellers gives you complete peace of mind that your hardwallet is safe from security risks. Click the links above to find each hardware wallet on Amazon. I’ll discuss the pros and cons of each below. P.S. If you are going to leave your cryptocurrency in an exchange, stay safe! Only use the most trusted exchanges – Coinbase and Binance are two of my personal favourites. If you’re serious about investing in cryptocurrency, a hardware wallet is crucial…but there’s still some disadvantages. Even if you lose your hardware wallet…or it gets stolen…or your dog eats it…don’t worry because you still have backup! Hardware wallets come with a 24 word security seed when you set them up. Make sure you record your security seed somewhere safe (preferably offline) because you may need it one day. I’ll explain more about this later. Historically and even recently, some of the world’s biggest cryptocurrency exchanges are still getting hacked! And if you’re investing in cryptocurrency long term, then it’s a huge risk leaving your cryptocurrency online. A hardware wallet gives you peace of mind. Storing your cryptocurrency online is kind of like keeping your cash under your mattress! Whilst you might think it’s ok, you’re still taking a big risk. Cold storage is much safer. Why take the risk? For the sake of around $70 or even less, you can add a much stronger layer of protection to your cryptocurrency investments. So a small purchase now will pay off in the long term. To date, no hardware wallet has ever been hacked. But plenty of cryptocurrency exchanges online have been! Most hardware wallets only support the top cryptocurrencies – so if you’re buying some of the newer altcoins, you’re not going to be able to store them offline. You need to keep your backup code secure. If you lose your backup code and your hardware wallet, you might never see your cryptocurrency investment again – this man threw away 750 bitcoins! Some cryptocurrency hardware wallets are better than others! I’ve revealed what I think is the best hardware wallet for cryptocurrency below. Below I’ve listed 3 of the best hardware wallets for cryptocurrency in 2018 – with links on where to buy them and their pros/cons. Let’s start with my personal pick for the best hardware wallet for cryptocurrency. At the size of a USB, it’s portable, water resistant and the Trezor comes with an ‘anti tamper seal’ so that you can easily see if the device is clean. It’s not been made with the best materials and that could be improved, but it’s certainly reliable in terms of security and encryption. This is the most trusted hardware wallet you can buy online. Pretty much every YouTuber, blogger and investor agrees that this is the best hardware wallet for cryptocurrency. Highly encrypted for your protection and security. Supports plenty of cryptocurrencies & altcoins so that you’re not just limited to Bitcoin, Ethereum etc. It’s small and easily portable. The Trezor comes with a protected ‘tamper seal’ so that you can clearly tell if anyone has tampered with your device. At $100, some might think the Trezor Wallet is a little pricey. But if you’re going to hold thousands of dollars in cryptocurrency, you need top notch security. Some people have reported a lack of product and customer support from the Trezor team. 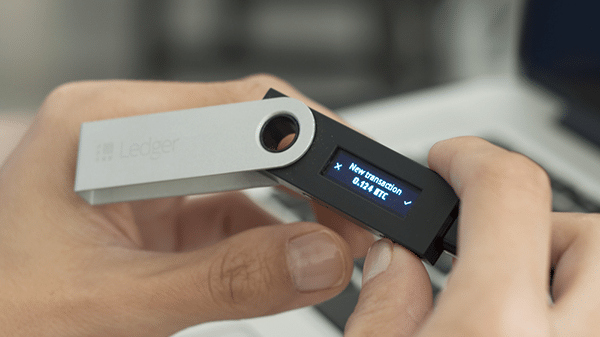 The Ledger Nano S looks just like a kind of large USB stick – which is a nice touch because it’s a subtle design. What makes the Leger Nano S completely different is that it comes with a screen. The screen adds an extra layer of protection to keep your hardware wallet safe and secure, as you’ll discover below. Instead of a seal (which could be easily imitated if someone’s sophisticated enough to intercept a hardware wallet in the post) the Ledger uses a cryptography technique called ‘attestation’ – via it’s screen. Without getting too deep into the process, attestation basically affirms that the device has not been tampered with by verifying its signature. If you want to learn more about attestation, check out this blog. 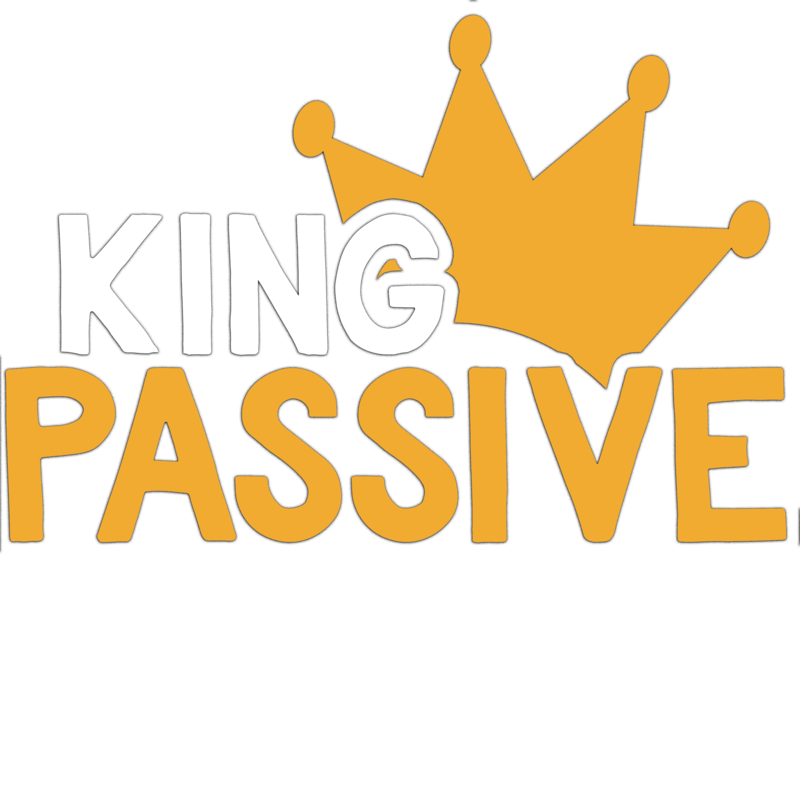 One the most highly rated hardware wallets you can buy. The Ledger Nano S comes with regular patches and updates to improve it’s security. Comes with a neat Chrome extension to manage your device.With high quality materials, it’s built to last. Some people have complained that their Ledger Nano S didn’t arrive with an anti-tamper seal. However, this is because the screen actually checks for tampering via it’s attestation cryptography technique. Their customer service team isn’t very responsive. You can’t store more than 5 cryptocurrencies on one device. There’s not much support for altcoins – it really only stores mainstream cryptocurrencies like Ripple, Bitcoin etc. Despite this, their development team are constantly working on supporting more altcoins and new cryptocurrencies. It’s a little bit more expensive compared to most hardware wallets. When you first get your KeepKey, it comes with a tamper proof sticker so that you can see it’s brand new. You’ll also get a card to write down your security seed and it comes with a limited guarantee booklet and a sleeve to store your KeepKey. The KeepKey’s build quality is probably the best I’ve seen out of all the hardware wallets. …And whilst the size is similar, when you compare this to a Trezor it has a much more sturdier and robust feel. That’s definitely something you want if you’re travelling with your hardware wallet often. 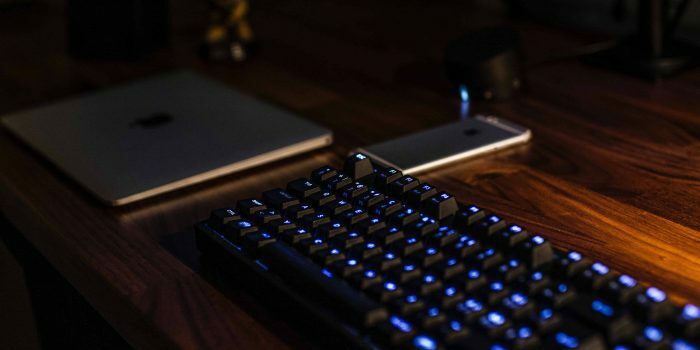 Once you hook your KeepKey to your laptop, it’s incredibly simple to setup. So if you’re new to hardware wallets, the KeepKey is perfect for beginners. KeepKey’s main USP is it’s simplicity – if you’re a bit of a techno phobe or a newbie to cold storage, this hardware wallet will save you hours of frustration. ‘Bank-level’ encryption – designed to keep your investment safe & secure. Works on pretty much all major operating systems – including Mac, Windows, Linux and Android. The actual software has no operating system, meaning you aren’t at risk of malware or viruses. Nice build quality – it’s sturdy, robust and built to last.Sleek design – it’s subtle and inconspicuous. The security on this device is only 12 words – rather than 24 – so your security seed won’t be quite as secure. The transfer fees on the KeepKey are fixed and can’t be adjusted unlike other hardware wallets. Many users have reported a lack of customer support. The LED screen is a little low quality. Now you know the best hardware wallet for cryptocurrency, you also need to understand how to keep it secure. You see, when it comes to owning a hardware wallet for cryptocurrency and storing your 24 word security seed, there’s some ‘rookie mistakes’ you need to be aware of. As soon as you get access to your security seed, make a note of it as soon as possible. The longer you wait, the more risk you have of losing it. If your security seed is posted anywhere online, you’re still leaving yourself at risk to hacking. So don’t make the mistake of posting your security seed in a spreadsheet, on your Everest notes or even in a password protected spreadsheet. Instead, write it offline and keep a few copies. It goes without saying but if you’re going to leave it with a relative or friend, make sure you can trust them. Store a written copy of your security seed in a bank deposit box. Alternatively, leave it in a wall/ground safe if you have one. Use a password protected offline computer to store your security seed.